As most of you know I’m a huge fan of thrillers. When I was given the opportunity to read Sandman by Tammy Bird I jumped at the chance. I mean who doesn’t love a strong group of lesbians fighting against time to bring a serial killer to justice. Katia Billings, EMT with the Emergency Medical Services of Buxton Beach, NC, is one of the first to respond after a hurricane rips through the small island community. As she helps search for survivors, she and her fellow responders discover a secret that will haunt Katia the rest of her life. Lurking beneath the sand dunes is an evil that no one suspected. A sandy grave not connected to the storm leads investigators to uncover the tomb of a serial killer, literally beneath their feet, hidden for years from the residents of the tight community. For Katia, it’s personal because she knows one of the killer’s victims. She enlists help from K-9 search expert Paige, and Katia’s on-and-off lover, Zahra, in her determination to find the killer, dubbed Sandman, and stop him from killing again. What small-town secrets will they unearth in their pursuit of the truth? Will the three women survive the physical, emotional, and psychological attack being waged against their small slice of sand? Or will they become the next victims of Sandman? I was drawn into Sandman from the very start. Katia is everything I love in a main character. She is cool in the face of danger and willing to do anything to help protect the ones she loves. When a hurricane rips through the Outer Banks of North Carolina Katia’s life changes forever. The woman who was like a mother to her growing up was found dead in the dunes with her throat slashed. This gruesome discovery leads the team of investigators to find several more bodies and the discovery that there was a serial killer in their small town. Zahra is an investigator on the case of the Sandman serial killer. She is also Katia love interest. Before the story starts, they had fooled around a little bit but nothing serious. The case brings them closer together. I liked that the romance element didn’t overpower the thriller aspects of the book. The book uses points of view from all of the characters involved. For me, this really made the book interesting. It really transformed the story into something spectacular. Marco was one of my favorite points of view. Marco is Katia’s brother and is non-verbal autistic. Marco knows who the killer is, but he struggles to communicate who the killer is. What really made this book standout is that you never truly know who the Sandman is until the very end of the book. When I found out who the Sandman truly was my jaw dropped. It was such an amazing twist. It is by far my favorite book of the year so far. I would recommend Sandman to anyone who likes mysteries and thrillers. You can purchase a copy of Sandman by clicking here. Mystery novels have always been a favorite of mine and I have never seen a lesfic mystery novel before. 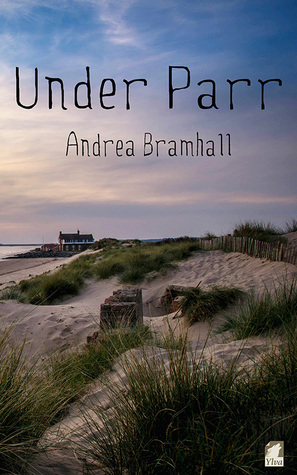 So, when I saw Under Parr by Andrea Bramhall listed on NetGalley it seemed like a perfect mixture of lesbian fiction and mystery. I couldn’t wait to get started. December 5th, 2013 left its mark on the North Norfolk Coast in more ways than one. A tidal surge and storm swept millennia-old cliff faces into the sea and flooded homes and businesses up and down the coast. It also buried a secret in the WWII bunker hiding under the golf course at Brancaster. A secret kept for years, until it falls squarely into the lap of Detective Sergeant Kate Brannon and her fellow officers. A skeleton, deep inside the bunker. How did it get there? Who was he…or she? How did the stranger die—in a tragic accident or something more sinister? Well, that’s Kate’s job to find out. When I started reading this book I didn’t realize it was part of a series. It is a little hard to pick up on if you didn’t read the first book. But my terrible start aside I really enjoyed this book. I was sucked in during the prolog and knew that even though I didn’t read the first book I needed to know what happened to the man in the bunker. The mystery aspect of the novel was great with two different mysteries happening at the same time. I also enjoyed the romance Between Detective Kate and Gina. I thought they relationship was sweet and understanding. Especially given everything that Gina has been through. I’m very curious to the cliff hanger at the end involving Gina. I’m really hoping there is going to be a third novel. I would recommend to anyone who enjoys a good mystery. It was the perfect mix of mystery and romance. Thanks to the publisher and NetGalley for the opportunity to read and review this book. If you would like to read this book if can be found at Amazon.